Crystal Palace were very impressive at Anfield against Liverpool – but most of that threat came through one man, and one man alone. Wilfried Zaha was incredible at times up against James Milner, and having had a quiet few weeks, was certainly back to his best. Milner did very well against him, particularly in the first period, before Zaha began to get on top in the dual as the game wore on. He only has three goals in the Premier League this season, but nonetheless, the former Manchester United winger is most definitely a handful. Zaha is a nightmare to defend against. So good was his performance at Anfield that many people called for him to be signed by Michael Edwards and Jurgen Klopp. Zaha would be very useful backup for Sadio Mane, that is for sure. Wilf Zaha is the best player outside the top six and if was at arsenal or utd he’d be their best player by a mile. He’s sensational and would be close to unstoppable with better players around him. Zaha would be world class with better decision-making and composure in the final third. In terms of his threat when carrying the ball and driving at players, there are few better than him. Must be an absolute nightmare to deal with, as Milner found out the hard way. Thought Zaha impressed on his trial, I'd keep him. 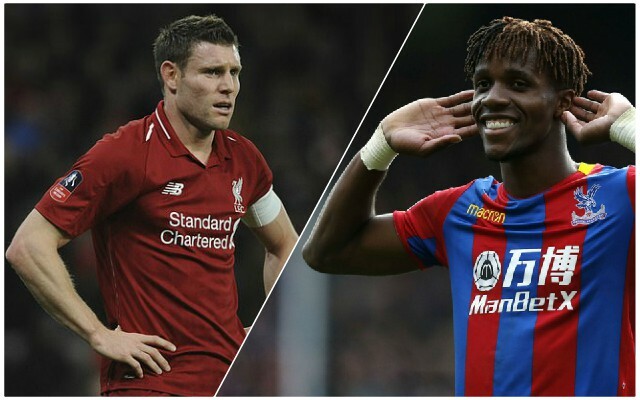 Whether the Reds would be prepared to spend the vast sum it would take for Palace to sell their star asset, it remains to be seen, but you’d certainly want to avoid having to face him twice more next season.